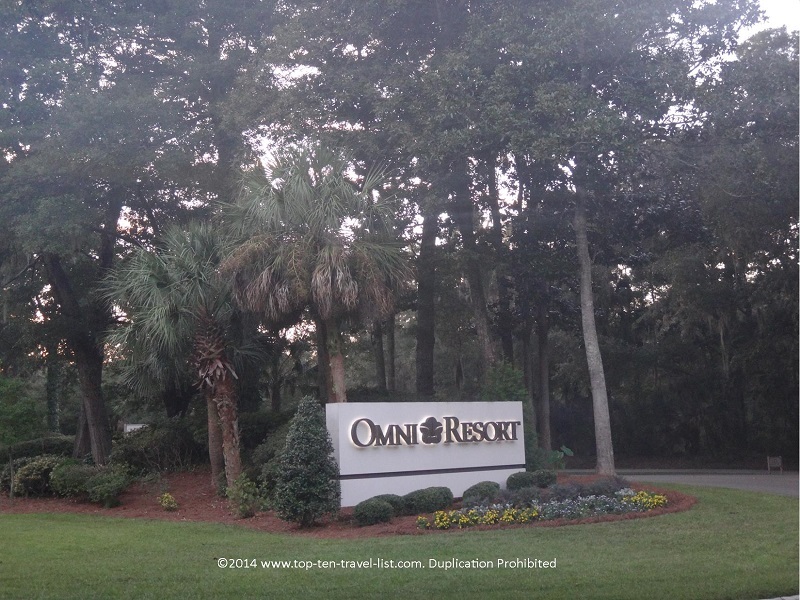 A Relaxing Weekend at Omni Hilton Head Oceanfront Resort - Top Ten Travel Blog | Our experiences traveling throughout the US. 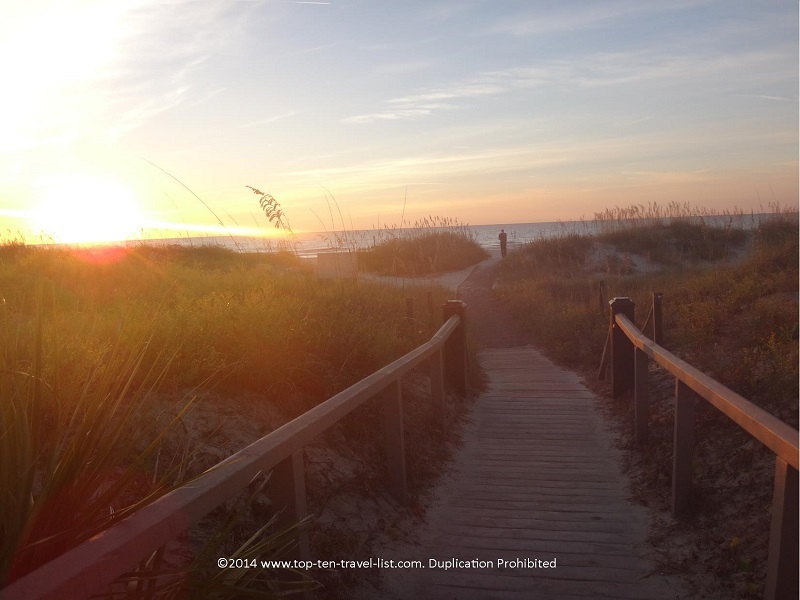 Hilton Head Island has no shortage of beautiful resorts, including a handful of luxury 4 star options. 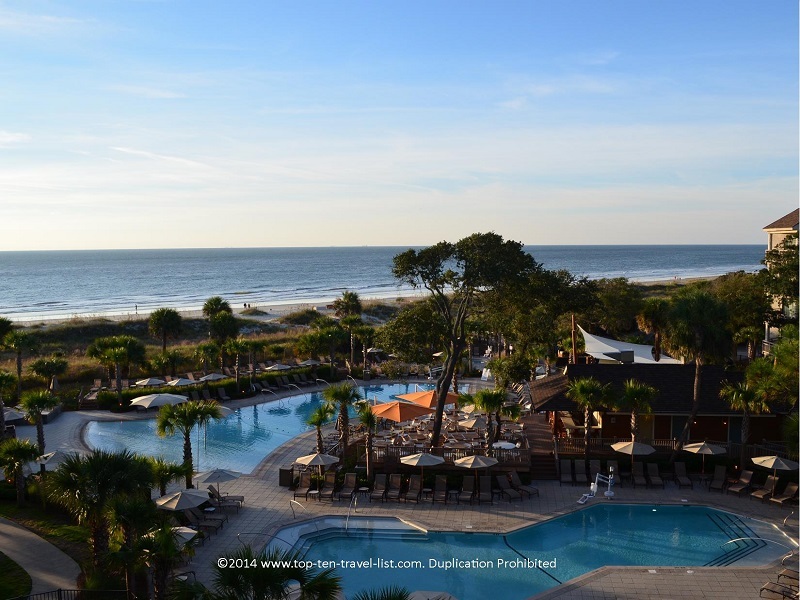 Omni Hilton Head Oceanfront Resort is the perfect choice for guests seeking a relaxing getaway with the convenience of many wonderful on site amenities. 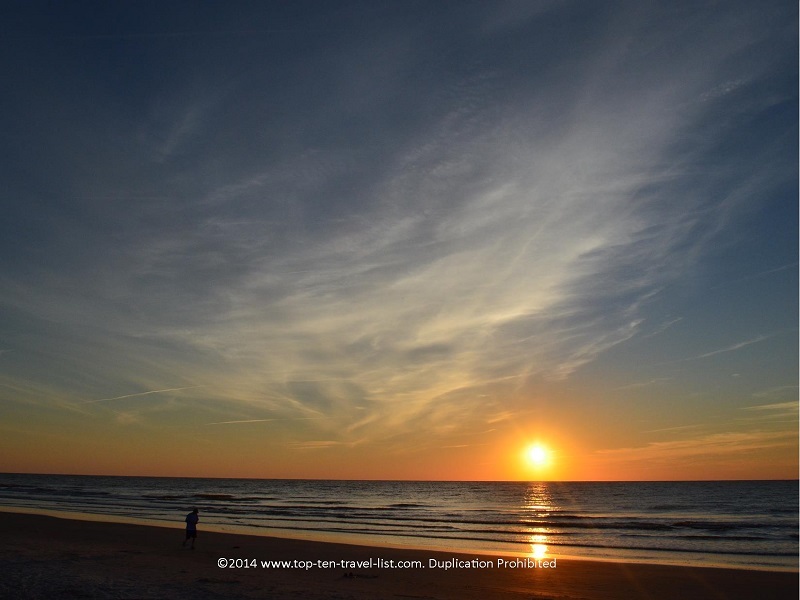 Hilton Head Island, located on the southern tip of South Carolina, is famous for its beautiful beaches, world famous golf courses, and mild year-round weather. Omni Hilton Head provides opportunities for guests to take part in a wide range of outdoor activities, including: golf, tennis, sand volleyball, and biking. Below I have provided a brief overview of the many different sporting activities available on site. Golf – Palmetto Dunes Golf club features 3 award winning courses which have been recognized by popular publications such as Golf Digest and Golf Magazine. Tennis – Because the resort is located within the Palmetto Dunes Resort community, you have access to the Palmetto Dunes Tennis Center, featuring 25 courts (8 of which are lit up at night). 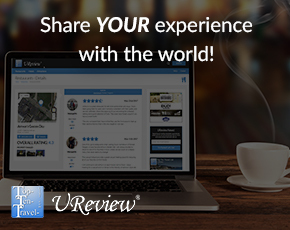 The center has been ranked 9th in the world by Tennis Resorts Online. Lessons are available. 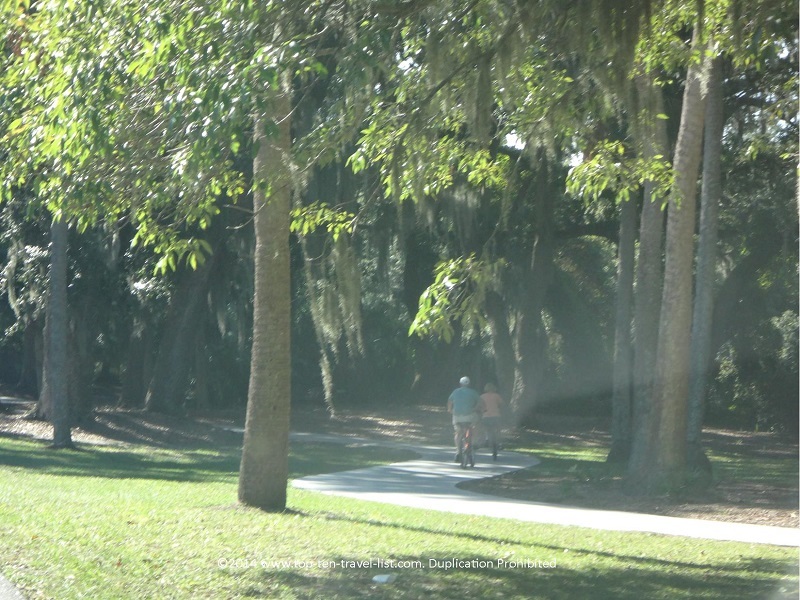 Biking – Hilton Head Island is home to more than 80 miles of scenic biking trails, 5 of which are located on the resort’s property. 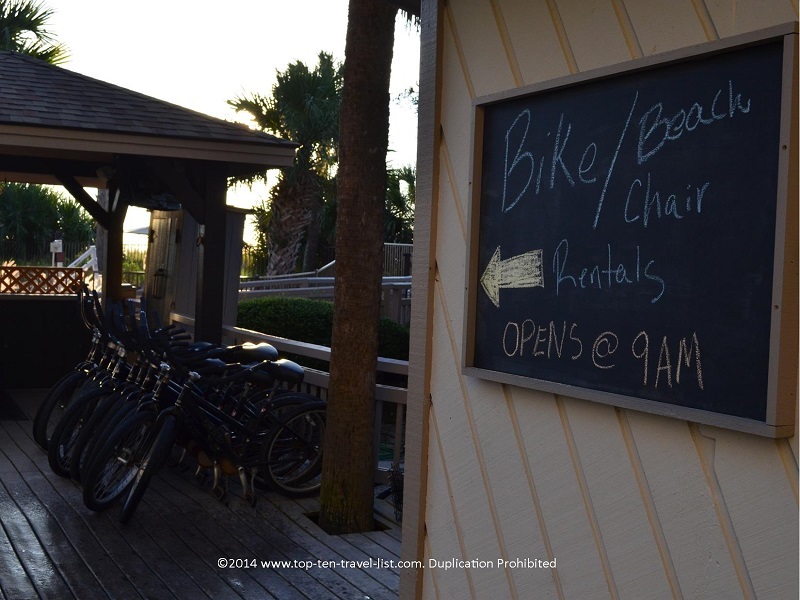 Bike rentals are available. 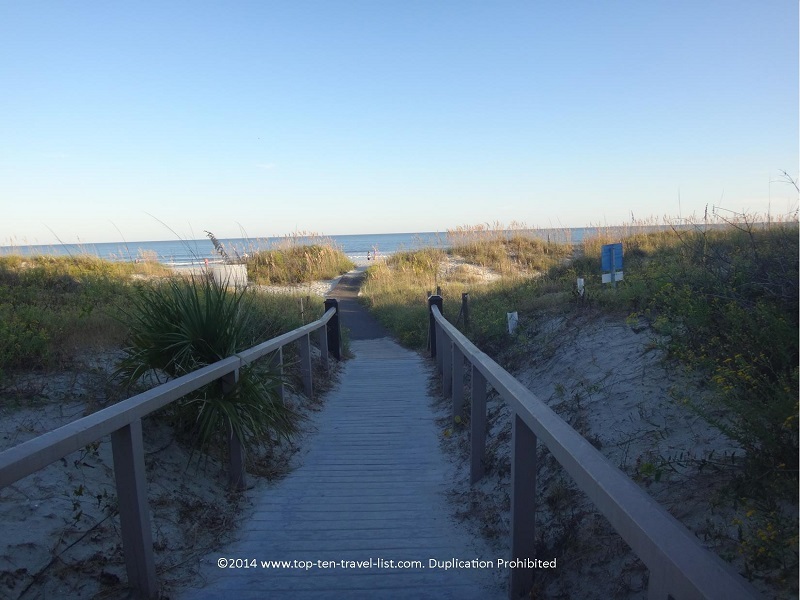 Whether you feel like taking a scenic cruise along the beach or taking a long ride along the Hilton Head Island trails, you are sure to experience a great workout, a nice breeze, and breathtaking views! 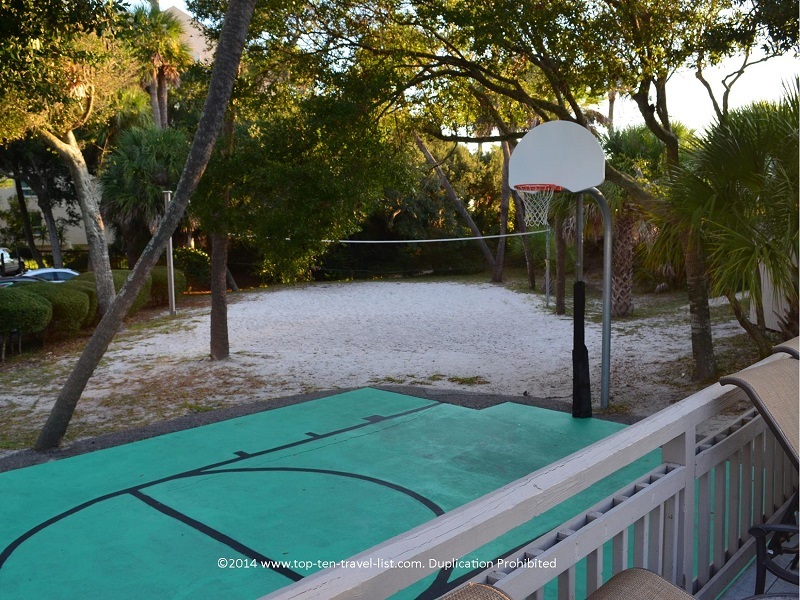 Sand volleyball and basketball courts are also available. Although all these amenities are great, the highlight at Omni is the convenient access to the beautiful Palmetto Dunes beach! 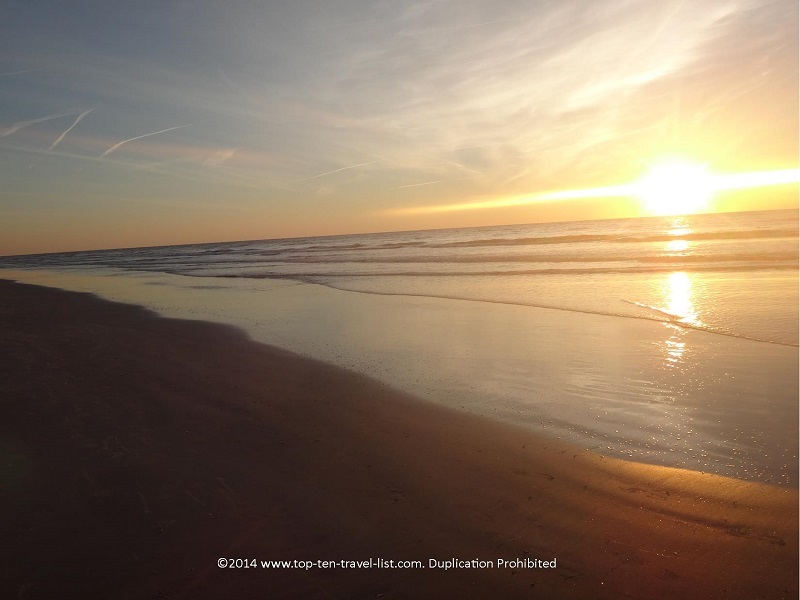 You can literally walk down to the beach in under 5 minutes. 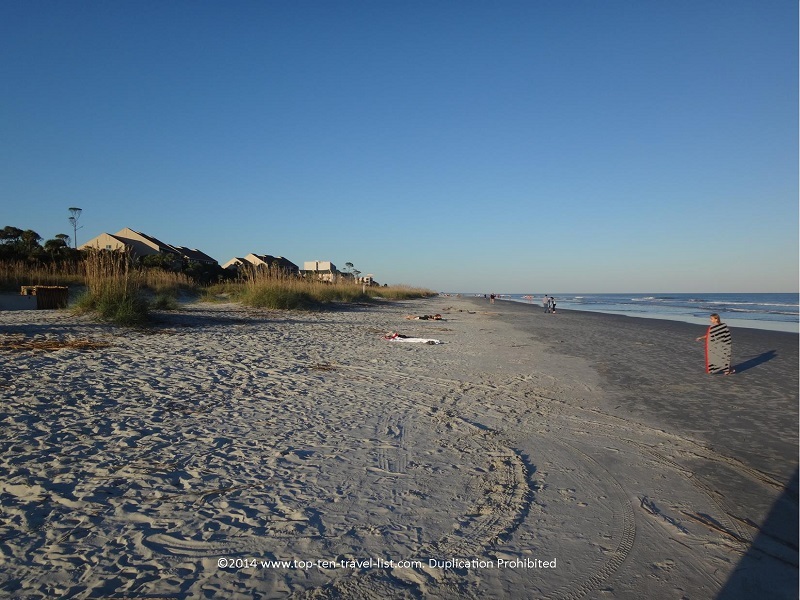 The beach is wide, sandy, and clean – perfect for walking, jogging, bike riding, or relaxing with a book (umbrella and chair rentals are available at the resort). 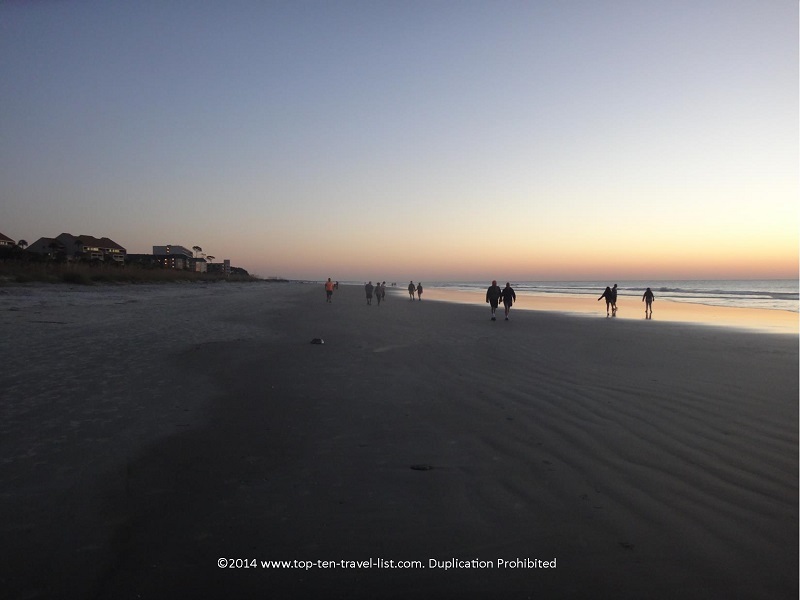 The beach was never too crowded to enjoy, no matter what time of day we visited. 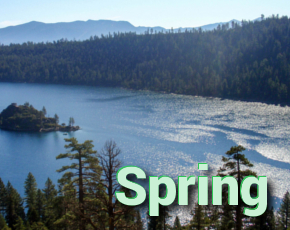 Be sure to take a stroll around sunrise for amazing photography opportunities.